In the late 1970s and 1980s, Yeshiva High School of Atlanta, the school of which I was principal, had an influx of students from Iran, who fled after the Iranian Revolution. All of them were very well behaved, had a smile on their face, and very much wanted to please. Some came without their parents and had to live with local families. It was a trying time for them; but most made a productive transition to life in America and were remarkably successful in their careers. I thought of my Iranian students as I watched The Good Lie. 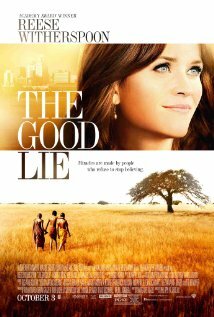 The Good Lie tells the story of four child refugees from the Second Sudanese Civil War. After their parents are murdered, they journey to Ethiopia in search of a safe haven where they can have food and shelter. Many years later, they are chosen to be part of a major resettlement initiative in the United States. They welcome this opportunity to begin life anew, and they travel to Kansas City to their new homes. Regrettably, the sister of one of the boys has to be relocated to Boston, where there is a welcoming family prepared to accept her into their home. Their new environment is strange, but with the help of Carrie Davis, an employment counselor, they find jobs and slowly reconstruct their lives in this new land. Their work at first is menial labor, but gradually they learn skills that enable them to move upwards socially and financially. Haunting them throughout their odyssey are old memory tapes of past traumas that at times make their adjustment problematic. The shock of seeing a loved one killed or mauled by a lion is not easily forgotten. Nor do they throw out food casually when they remember the days when they endured starvation on a daily basis. Thankfully, their caring hosts do not abandon them in their periods of self-doubt and adversity, thus enabling them to eventually make a successful transition to their new environment. Jewish tradition is very sensitive to the predicament of the outsider, the stranger in one’s midst. It is a foundational concept rooted in the historic reality that Jews were strangers in the land of Egypt. There are numerous warnings in the Bible not to oppress the stranger financially or verbally. The Talmud reminds us that language can hurt or heal. It can make people feel welcome or it can estrange people; therefore, we have to be very sensitive when talking to the outsider, the stranger. Rabbi Sacks, quoting the great medieval sage Nachmanides, points out how powerless is the stranger in comparison to those who are native born. The stranger has no support network, no family, friends, or neighbors who are ready to help in times of crisis. Furthermore, the stranger is psychologically defenseless. Alone without family and friends, he feels isolated and unprotected. That is perhaps why God is the protector of the stranger since no one else is ready to step up and help them. Sacks further suggests that the Jew is the archetypal stranger with different beliefs and different customs; and, therefore, Jews should understand how important it is to integrate the outsider into the community. We need to make him feel safe and at home. In the final analysis, we are all strangers at some time in our lives. The Good Lie reminds us to take care of the outsider and make him feel like an insider. It is always wonderful how you bring lessons from the Bible to life.